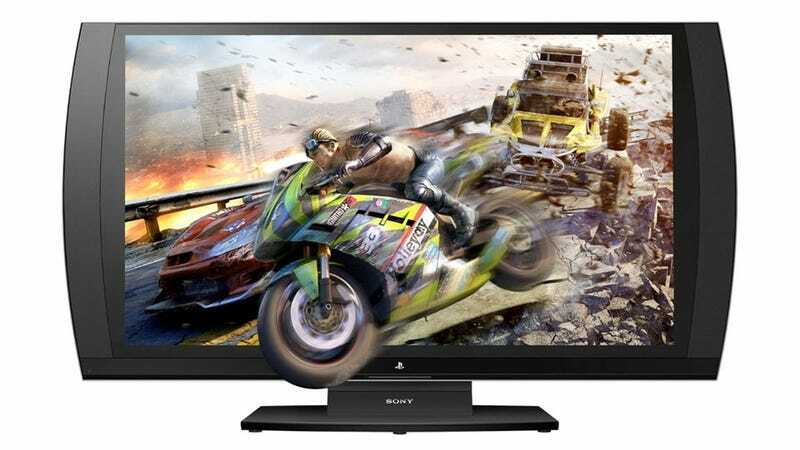 At this year's E3 expo, Sony unveiled the PlayStation 3's "official 3D Display," a stereoscopic 3D package that packed in one monitor, one copy of Insomniac Games' Resistance 3, one HDMI cable and one pair of 3D glasses for $500. Things have changed. 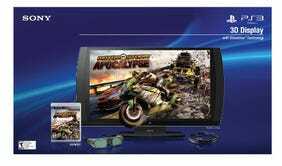 Sony's 3D Display bundle now officially includes a copy of Evolution Studios' disaster racer Motorstorm Apocalypse as part of the package instead of Resistance 3. Why? Well, in a statement to Gamespot, Sony offered no clear reason, but did mention that new Motorstorm's "split-screen racing mode is perfect for the 3D Display's special two-player feature, which allows both players to see individual, unique, full-screen images of gameplay." We saw that feature in action at E3 2011 and came away impressed. The good news for Resistance fans is that it appears that some retailers—notably Amazon and Gamestop—will still honor the originally announced deal, tossing in a copy of Resistance 3 if you pre-order the 3D Display bundle, which is expected to ship this fall. Resistance 3 is on the books for a September 6 release in North America.